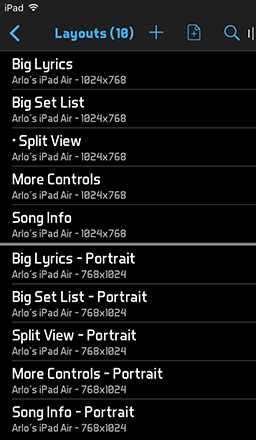 When you select a set list from the Set Lists list, you will see the layouts that match your device's screen size and orientation. 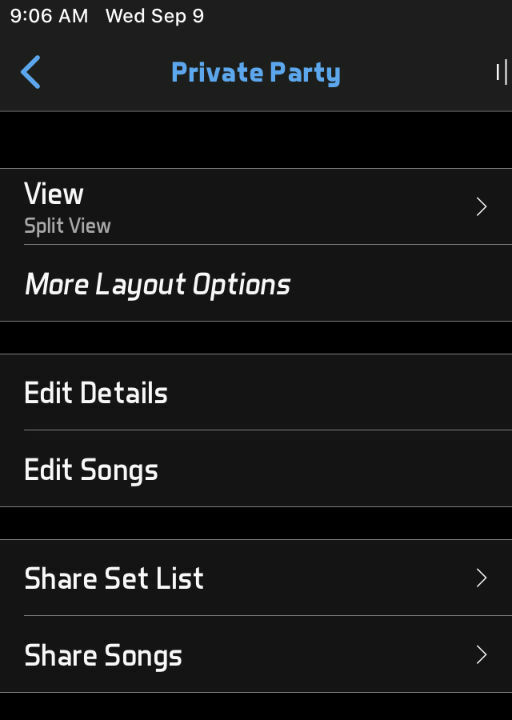 You can select a layout to view the set list, or rotate your device to see the layouts that match the other orientation. You can add standard-sized (not resizable) text fields to the bottom toolbar by tapping one of the field slots, then selecting a field name from the list that appears. If you place any +1 or +2 items (which display info for the next song or the song after that) on the right side of the toolbar, BandHelper will move those fields to the right side of the screen. To clear one of the field slots, you can select Remove from the bottom of the list of fields. The Master Volume includes a slider to control the output volume of all BandHelper's audio. 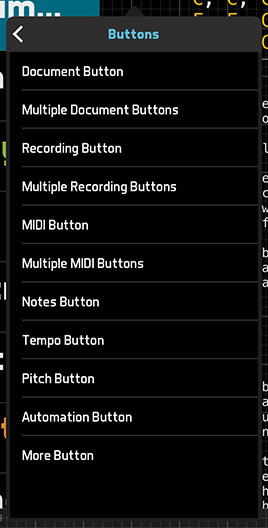 If you enlarge this layout item, or scroll within it, you will see additional sliders to control the separate volumes for recordings, videos, tempos and starting pitches. You can orient the sliders horizontally or vertically depending on how you size this layout item. Your layouts are synced across all your devices, but only the layouts matching the device screen size and orientation will appear when viewing a set list. Since layouts are typically personalized for each user, layouts will be assigned only to the user who created them by default. However, you can share a layout with other users by selecting them on the Edit Details page. To import a shared layout on iOS, tap the Layout button and select the Import option, then select the layout file from a compatible app. Or select the layout in a different app and use the Open In feature to copy it into BandHelper. BandHelper will add the selected layout to your Layouts list. BandHelper will not import layouts that were saved on a device with a different screen size.